With Shane Black out on the press circuit to support this weekend’s ’70s-set caper The Nice Guys (if you haven’t seen it yet, there are few original-concept thrillers that pack a better, more entertaining punch out right now), some of his conversations have inevitably steered back to the script that put Black on the map – namely, his Lethal Weapon screenplay – and the state of that currently dormant franchise. On Nerdist’s The Writer’s Panel podcast, Black talked specifically about his ideas for Lethal Weapon 5, a fivequel that now seems almost certain never to make it to the big screen. It’s good to hear that Black wouldn’t cave to the widely accepted, industry-wide practice of introducing a next-generation cast to ensure the Lethal Weapon brand could surpass the involvement of its original stars. Riggs (Mel Gibson) and Murtaugh (Danny Glover) are the spirit of Lethal Weapon, and no one knows that better than the writer who brought them both to life as one of cinema’s most consistently badass, incessantly bantering duos. Also of note: that pitch indicates that Black would have approached a fifth installment as another Christmas movie, which is definitely good news for anyone who’s followed the writer-director’s career path – thrillers set around the holidays appear to be his strong suit. 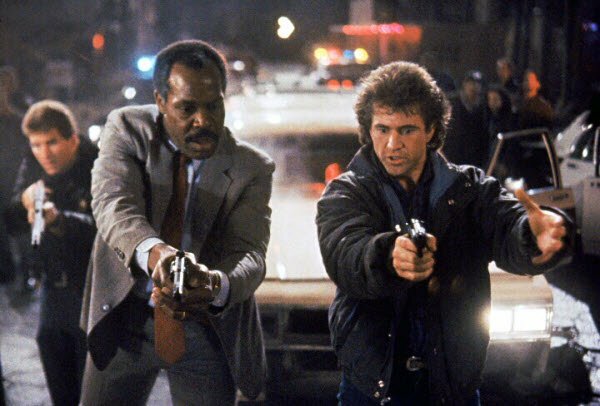 Alas, it doesn’t seem like Lethal Weapon 5 will ever happen – the fourth installment sparked less audience interest than any previous entry in the franchise, and it’s dubious whether Gibson and Glover would ever reprise their roles. Luckily, if you’re in the mood for another set of fast-talking, quip-ready dudes written by Black, The Nice Guys, at least for this summer, has you covered.